Here at Fork in the Road, we're not just making food. We're making news, too. 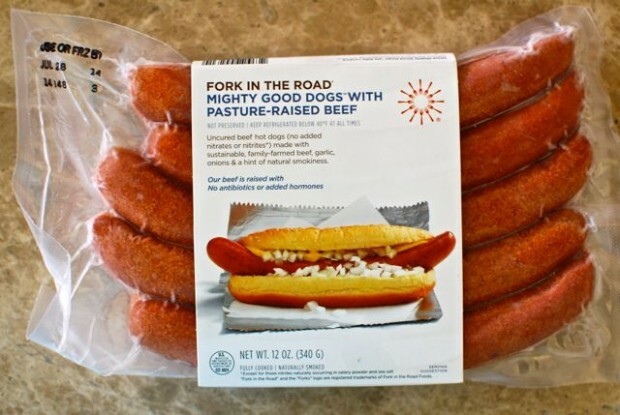 Nutritionist and blogger Amelia Winslow recommends Fork in the Road Foods as a hot dog brand you can trust. She writes, "Fork in the Road uses the highest-quality meat for all it's products...animals are humanely raised and never given antibiotics, growth enhancers or added hormones. All their meat is U.S.-grown (very unique) and they work super closely with their farmers." Lauren Grier of Climbing Grier Mountain is a fan of sustainable meat and bold flavors. 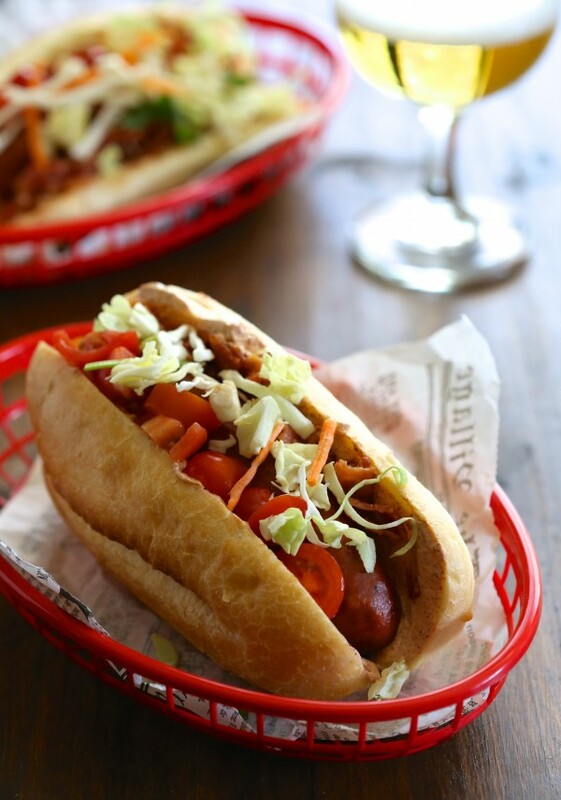 In her latest recipe, she pairs Fork in the Road's spicy Hot Links, made from pasture-raised beef and heirloom pork, with bacon, spicy slaw, and tomatoes for a finger-licking good bite. 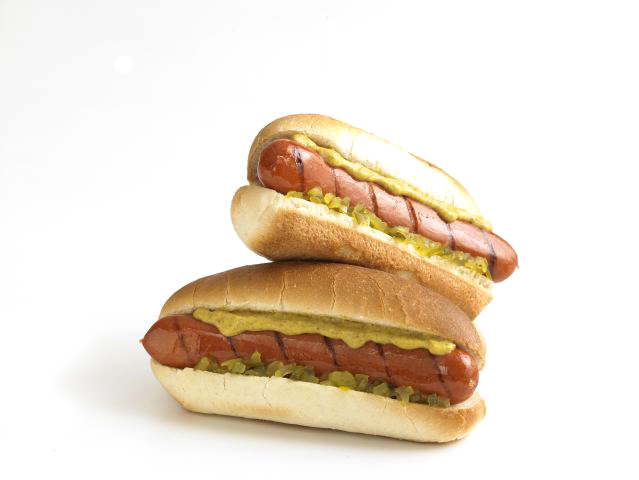 Jessica Merchant, the blogger behind How Sweet It Is, is a big fan of hot dogs. So it wasn't hard to win her over with Fork in the Road Food's pasture-raised beef varieties. 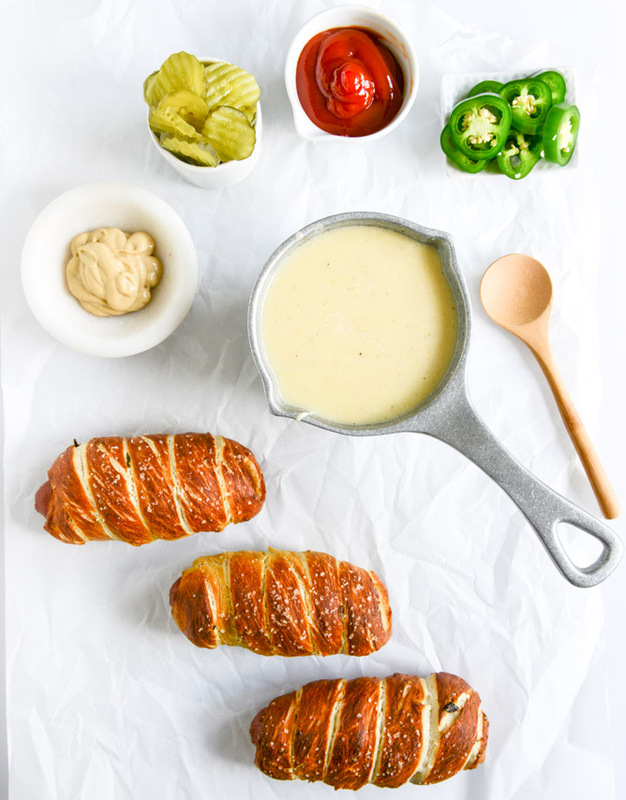 She features Honest Dogs in this delicious recipe for Jalapeño Pretzel Dogs with Cheddar Beer Sauce. We talked with EthicalFoods.com, an online magazine focused on topics related to ethical and sustainable food, about the way we do things at Fork in the Road. Our conversation covers everything from our sustainable farming practices to how we handcraft our deli items. Despite a warning in March from the Centers for Disease Control the United States continues to use at least 70 percent of its antibiotics on livestock. This practice threatens the health of Americans, who consume all those antibiotics and risk becoming resistant to them. This article states that "Millions of pounds of antibiotics are routinely administered at low doses to large numbers of animals living in crowded conditions, not because they are sick, but to speed their growth and prevent possible infections, creating ideal conditions for bacteria to become resistant." 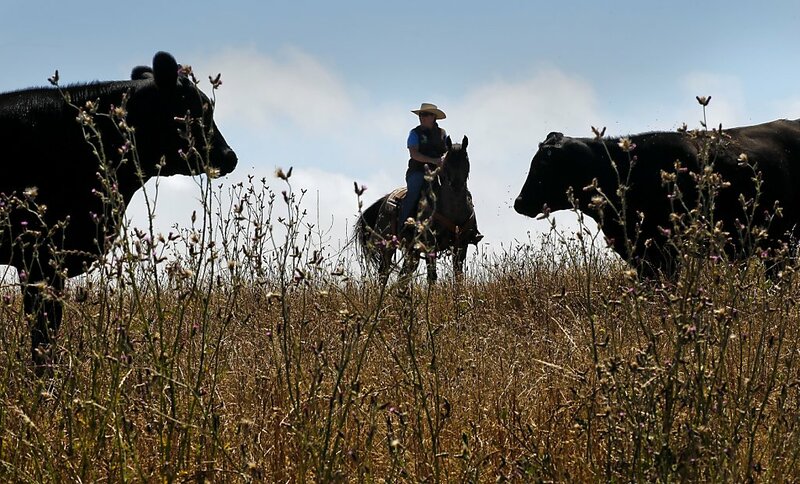 Fork in the Road is committed to sourcing from small family farmers who raise their animals without antibiotics or growth stimulants of any kind. The National Park Service introduced new food standards last week that will eventually require all food retailers in their parks to serve up antibiotic-free meats and healthier food options. From Yellowstone to Yosemite, the guidelines will encourage concessionaires to also use local, sustainable foods when possible. This is a huge step, considering the park service sells meals to 23 million people each year. 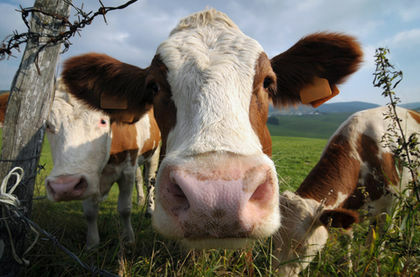 A group of Canadian doctors are calling on farmers to stop giving livestock antibiotics so routinely. The reason is clear from a health perspective: "For the last 100 years, we've grown to think of infections as easily treated by antibiotics," said one of the doctors, stressing that "patients are at risk of becoming sicker, taking longer to recover and, in some cases, dying from previously treatable diseases." 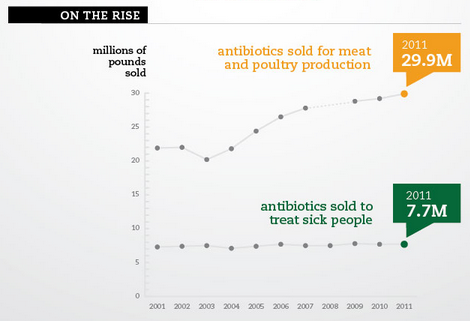 This is all due to both animals and people becoming increasingly resistant to antibiotics because they have become so overused in farm production. The livestock industry now consumes four-fifths of all antibiotics used in the US, according to the Pew Charitable Trusts. Consumption of drugs has been steadily rising, and hit a record 29.9 billion pounds in 2011, compared to 7.7 billion for humans. The more antibiotics issued in livestock production, the more antibiotic-resistant strains of bacteria arise, studies have found. For example, of the Salmonella on ground turkey, Pew found 78% were resistant to at least one antibiotic. Furthermore, half of the bacteria were resistant to three or more antibiotics.